Hello from the Orbit Mechanics and Attitude Control team! Today we want to tell you something about our actuators, namely the pieces of hardware mounted on our satellite that are responsible for the orientation control. As described in the introductory blog post of our team, the goal of the Attitude Control and Determination System (ADCS) is to stabilize the satellite after ejection in space and to actively control the attitude of the satellite, in order to maintain a stable nadir pointing while in orbit. To achieve these tasks, many methods have been developed and are used in satellite designs: one can install and fire thrusters that generate a rotating torque on the satellite, or use spinning wheels that rotate the satellite using the angular momentum conservation. Those are very effective attitude control actuators, but are only suitable for big satellites, as they are very heavy and require a lot of space. For CubeSat missions, the very strict power, mass and size budgets require the design of systems that are light-weighted, compact and efficient. The actuators that we decided to implement in MOVE-II are so called magnetorquers: they basically consist of a coil, in which the flow of an electric current generates a magnetic field. 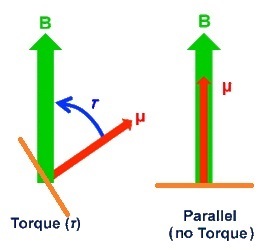 The interaction of this field with the Earth’s magnetic field generates the desired rotating torque, following the formula T= m x B, in which T is the torque acting on the coil, B is the local magnetic field strength vector and m is the so called magnetic moment vector, which is linked to the strength and shape of the magnetic field generated by the coil. 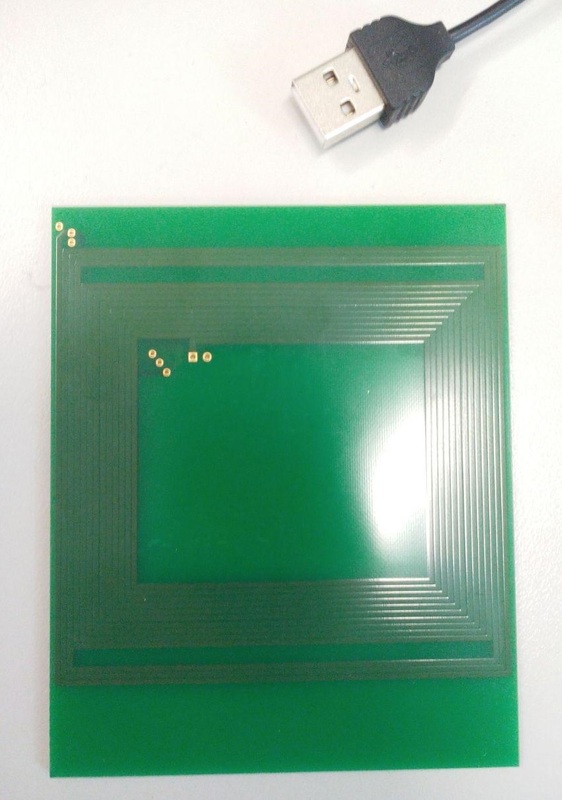 To maintain our ADCS system as compact and robust as possible, we decided to integrate the coils directly inside the PCBs that form the “walls” of our satellite. The coils use in six of the eight PCB layers while the remaining two layers are occupied by the controlling electronics, sensors and solar panels. To be able to control the satellite in each of the three rotation axes, we need to install at least one coil per axis. However, for redundancy reasons, we decided to install two coils per axis, for a total of six PCBs containing a coil. In the following picture, you can see a prototype of a six-layer coil. The coil design parameters, like the number and width of the windings, have been computationally optimized for achieving the desired magnetic moment with the least power consumption. As you can see, this selected design contains 13 windings per layer (the total track length is 19.3 meters! ), with a track width of about a millimetre. Simulations and calculations have shown that a magnetic moment of 0.05 Am² per coil is needed for an effective attitude control; this value is achieved by this coil configuration with 160 mA flowing in the coil, consuming just 0.25 W of power. With a coil mass of about 6 grams, such an actuator is quite light, consumes an acceptable amount of power and is extremely compact, as it is directly integrated into the structure of the satellite! The next step in our actuators development is to validate the design and the theoretical calculations, together with an analysis of their behaviour in space thermal conditions. We will keep you updated!